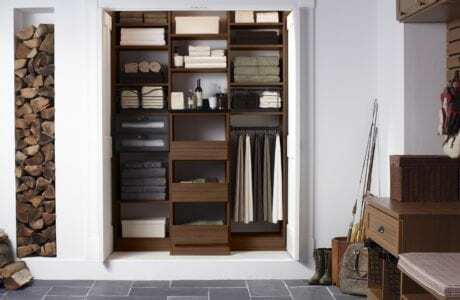 Do you wish you had an easier time keeping your closet space organized? If so, you’re far from alone. That's why sometimes you just have to step back and let the experts help you. California Closets has been designing and building beautiful closets for nearly four decades, and closet organizers is one of our specialties. -Hooks: optimize space while holding a myriad of items, such as hats, backpacks, or sports equipment. -Pull-Out Racks: Save space and get smart, visual organization. This could include storage for ties, scarves, belts, skirts, or pants. -Hampers & Baskets: Get seamless integration with your closet system and have somewhere to put all of the things you don't need to store away neatly. -Shoe Storage: Create an incredible shoe display that organizes everything you own, from stilettos to winter boots. -Drawer & Shelf Dividers: Get superior organization by keeping items separate with dividers. 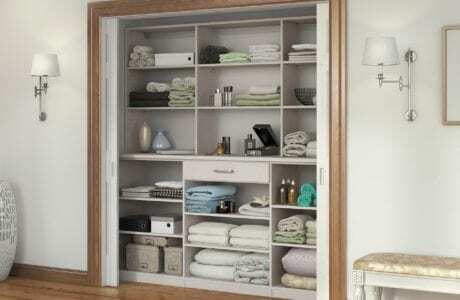 You'll never see organization quite like this until you work with us here at California Closets of Connecticut. Schedule your complimentary in-home design consultation today to get started on your own design.